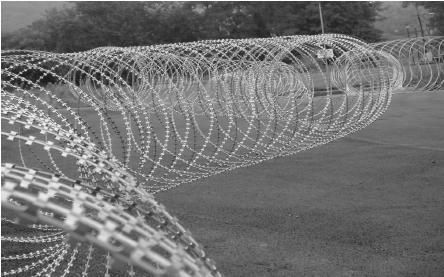 Detainer Hook Barb Barbed tape obstacle is the premier barrier in the world. The newest and most effective security product being used today. Detainer Hook Barb offers unequaled physical and psychological deterrence. Instabarrier non-reinforced is characterized as being the most versatile of all barbed tape products. Designed for both temporary and permanent use, it permits rapid recovery and reuse. Manufactured in strict accordance with U.S military Specification MIL-A-A-55522A, optional barb style (A, B). Barbed Tape Concertina shall be (710, 950) mm in diameter fabricated from ADTM A526 galvanized steel, coating designation G90. 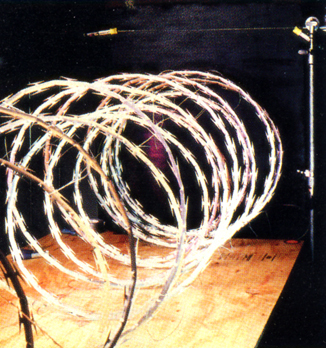 Maze barbed tape obstacle is the original long-barb,wire-reinforced concertina. 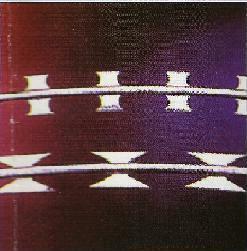 Maze is used in more minimum to medium security applications around the world than any other barbed tape. TYPE II GPBTO Type II is a double coil, non-reinforced product made from spring quality austenetic stainless steel. 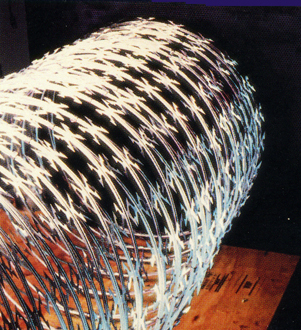 Originally designed by the U.S. Military as an entanglement obstacle, Type II is growing in commercial use as a ground barrier. HELICAL Razor Ribbon, the registered trademark of Allied is the name that made barbed tape famous throughout the world. 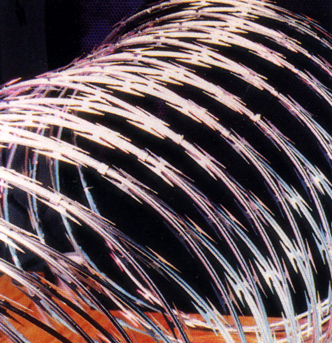 Razor Ribbon Helical is the barbed tape Most recommended for private and industrial use. 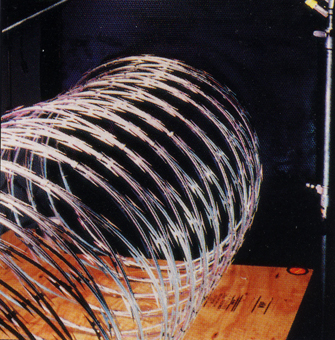 It has the same long barb features as Maze, Supermaze and NATO Barrier but the loops are not clipped together in a concertina fashion, allowing the barbed tape to be installed with a variety of loop spacing options, depending upon the level of security required. 64 x 80 BTC Express is a rapid deployment barrier. 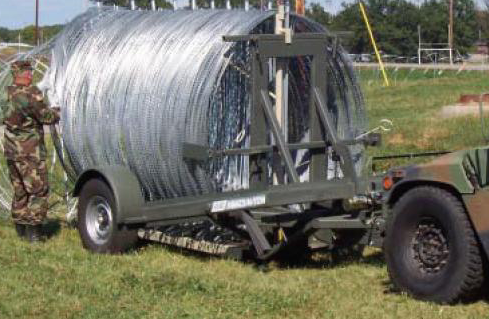 It deploys a BTC concertina barbed tape barrier 1.62 metres wide, 2.02 metres high, and 198 metres long. The magazine of BTC will deploy the barrier at a speed of 198 metres in 2 minutes. The barrier can be recovered at 198 metres per 22 minutes for redeployment. The loaded magazine is designed for use with the 463L military pallet. 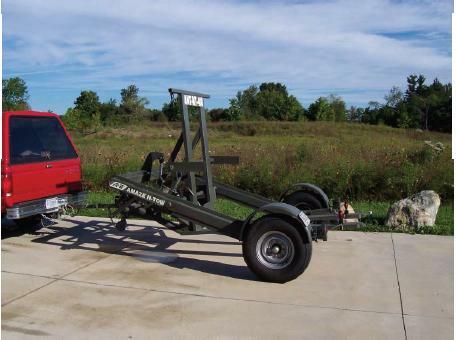 The ANT-463L (Amaze-N-Tow) was primarily designed to lift a standard pallet off the ground. Once the pallet and cargo are in position the ANT-463L is capable of safely traveling at highway speeds.The ANT-463L has the ability to load and unload the standard pallet under its own power, with the ability to transport on rough terrain or on the highway. 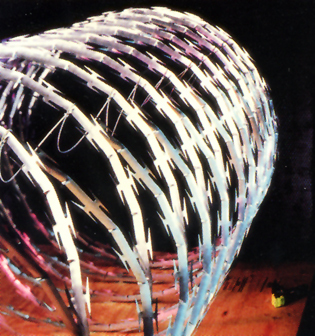 1M BTC Express is a barrier of BTC (Barbed Tape Concertina) with a 1000 millimeter diameter that rapidly deploys in 50 meter increments. A unit of BTC Express is deployed out of it's packaged crate with the use of the Express Magazine 200 (deployment vehicle) to erect the barrier at 50 meters per minute.